To manage backup using Bytevault Web Portal. Please follow the steps given below. 3. 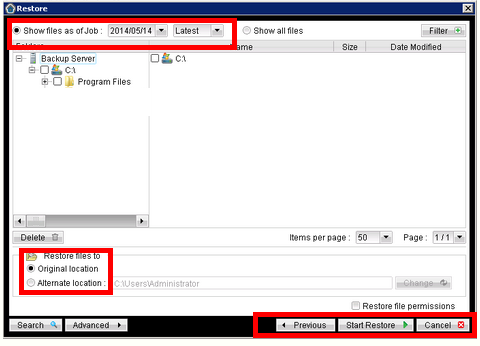 Select the required backup set and date and click 'Restore' button. 4. Allow JAVA applet, if popup appears. 7. Choose required date and required backup. 8. Select a restore destination. Make sure to select "Restore permissions" also. 9. Press "Start Restore" to start restoration.